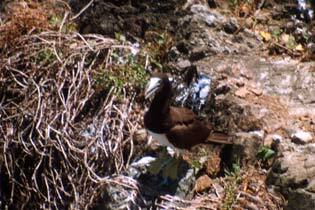 Little Tobago also called Bird of Paradise Island is star shaped, about 1 mile long and entirely covered by forest. It rises to a height of nearly 200 ft (65 m) above sea level, and has an area of 450 Acres. The Island is just 20 min. by boat from Speyside. 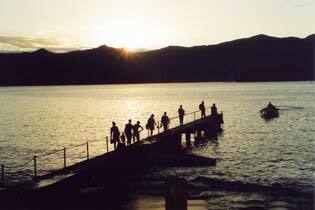 Being a bird sanctuary you’ll be able to admire many species of sea and land birds that live there. 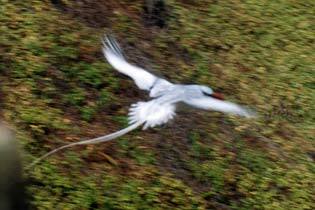 One of them is the Red-billed tropicbird, which is a must see on the list of every bird watcher who comes to Tobago. In 1909 Sir William Ingram, who then owned the island brought 26 pairs of Bird-of-Paradise from Dutch New Guinea. After his death in 1929, his son presented the island to the government of Trinidad and Tobago on condition that it would be kept as a bird sanctuary and that provision made for the preservation of these birds. Unfortunately some did not survive in their new environment, and the rest survived until 1963 when hurricane Flora struck Tobago. Afterwards these birds were never replaced. Going up the windward side of the island we’ll pass small villages like Goodwood, Pembroke, Glamorgan and Belle Garden, where the Richmond Great House was built. Driving through Roxborough you’ll see what once, was the biggest Cocoa plantation of the island. In Speyside we will embark on a glass bottom boat for the 20 min. ride to Little Tobago. 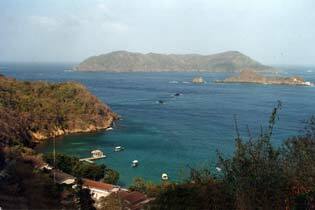 Once on the island we will follow one of the trails to reach the top were we’ll admire flora and fauna that belongs to this corner of paradise. During nesting season you will have the chance to see a variety of birds nesting along the trail. After our excursion of the island the boat will take us back to Spayside, making a snorkeling stop at the “Angel Reef”. A good local lunch will be served before we head back home. Included: Drinks on board, local lunch at restaurant. Attire: Comfortable sportswear, comfortable walking shoes, bathing suit.